Make your favorite omelet portable and poppable. 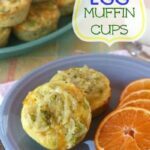 Broccoli, Potato & Cheese Egg Muffin Cups are easy, versatile, freezable, reheatable – you have to make up a batch! This week, as part of our birthday celebration for #SundaySupper, Isabel asked us to share our favorite recipes, themes, or moments from our time as part of this amazing group. I have a couple of favorite themes from my time as part of this amazing group – over a year and a half, minus my two blogging breaks during my first trimester and after Baby Smiles was born. One was Kids in the Kitchen, when The Bug and I made Mexican Black Bean Quinoa Burgers with Guacamole. Classic Bug, trying to shove every ingredient in his mouth instead of actually helping me. The kid is a bottomless pit, but it was fun to make, and to pick a recipe based on his love of Mexican food from a young age. Another was Breakfast for Dinner where I shared these Dark Chocolate, Orange and Pistachio Greek Yogurt Cups, because it was my first week back after my “maternity leave”, and after a rough first few months with Baby Smiles, getting back to blogging really felt like getting back to life, getting out of the Baby Fog, and doing something for me again. But honestly, my favorite moment happens every week. Truthfully, sometimes everyday. You all know I love to tell stories about my family. The Bug has been featured prominently on the blog since Day 1, and now that Baby Smiles is starting to eat real food (this is the first #SundaySupper recipe he actually got to try! ), he will come into the picture more and more. Each week as I go through the comments, I undoubtedly see something from Isabel or Nicole or Renee or Liz or someone else saying either something sweet about the boys, or mentioning how it reminds them of when their kids were younger, and how things are different now. This happens regularly as I share my daily goings-on on Facebook or Instagram, too. And I love getting these comments. Yes, of course I enjoy hearing how adorable and awesome my kids are, but what I really love is the inspiration these ladies give me, as a foodie AND a mom. Because I see the types of moms they are, I see the wonderful connection they have with their children and their kids’ amazing accomplishments, and I know that it truly comes back to the family dinner table – literally and figuratively. It is setting aside that time with your family, whether it is Sunday Supper, breakfast before school, or maybe your schedule doesn’t allow for a meal, but you turn off the cell phones and radio and whatever else while you are in the car and talk. You go to their football games, support their choices even if it brings them far away from you, have their friends all jammed into your living room. And I can only hope, pray, and do my very best raising these little guys to be as wonderful as my friends’ children. I can make them delicious and nutritious meals so that they grow up healthy and with a love of food to nourish their body and soul. I can sit down to enjoy these meals with them, as we have done almost since they day each of them was born, pulling up a bouncer seat or high chair to the table, in order to know what is going on in their lives, to know who they are, and to make sure they know that Daddy and I are always there for them. That is what Sunday Supper means to me. As I said, I wanted to pay tribute to the Kids in the Kitchen AND Breakfast for Dinner themes, so I scoured the recipes from those events. The Bacon Egg and Sausage Breakfast Cups from Nicole at Daily Dish Recipes popped out at me as something I could make with The Bug, but I wanted to turn it into a vegetarian recipe, so that he could take leftovers to school (his preschool is attached to a Jewish Temple, so in order to ensure that meals being eaten together at a table are Kosher – since most of the students are not Jewish and may not know all of the requirements – is to just have everyone bring in vegetarian dishes). Well, I don’t know if my broccoli took up more room than her sausage and bacon or what, but once I mixed it up, there was no way I was fitting the potato/broccoli/cheese mixture into the cups and then cracking an egg on top. Dang, I was hoping for a little runny yolk on mine! So I just whisked up all twelve eggs and combined it with the veggie mixture. 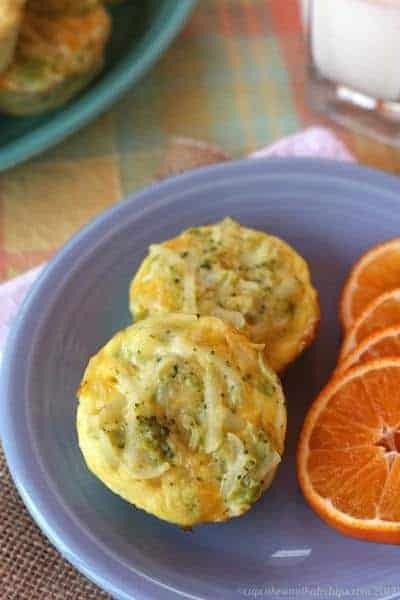 Soooo, it’s nothing like Nicole’s recipe, but these Potato Broccoli Cheese Egg Muffins turned out great! The hubby raved about them at dinner, I snuck one the next day as a snack, The Bug took some for lunch. Even Baby Smiles ate some! 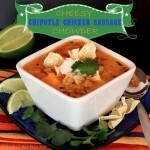 And I still have more in the freezer, so this is a perfect make-ahead meal for busy days. They can even be little appetizers! And obviously you can switch up the veggies and cheese to whatever you have or like. Preheat oven to 350°F and lightly grease or spray two muffin pans. In a large bowl, combine all of the ingredients and mix thoroughly. Divide the mixture evenly between 24 muffin cups. Bake for 20-25 minutes, or until eggs are set ad top is lightly golden brown. I make this, only I use quinoa instead of potatoes. Quinoa sounds like a delicious (and healthy!) option to the egg muffin cups, LaTanya! I love hearing about your kids, seeing what’s in Bug’s lunch, and everything. It’s fun to get to know them, pkus you give me great ideas for my kids! I can’t wait to make these cups for my little guy – they look so good! Awe, you are too sweet. Thanks! Count me in as one who loves seeing the pictures of your little guys and hearing the sweet stories. Although we still have one at home he’s really not a baby any more so it’s fun hearing others stories. 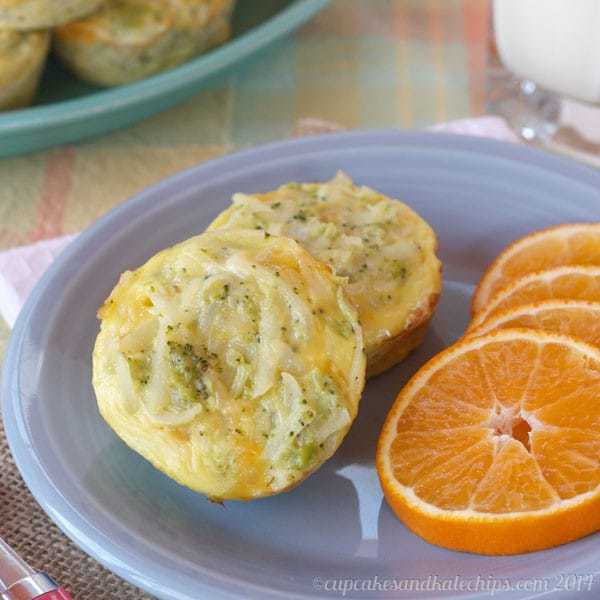 By the way these Broccoli Potato Cheese Egg Muffin Cups look amazing! I can’t wait to try them. It is very exciting that Baby Smiles is able to enjoy your delicious cooking and baking. Great idea to start with one of Nicole’s recipes. She puts so much love into her dishes, too. Yes, she definitely does! And I am excited to start giving Baby Smiles “real” food, slowly but surely, instead of all of the mushed up stuff he has been getting. 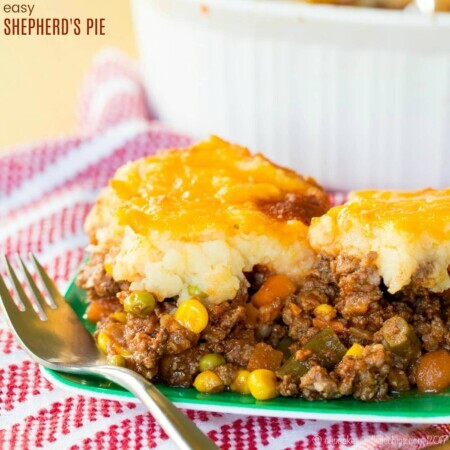 Ooh I’d love to try these for my kids and I’m sure they’ll love it!Filling and delicious 🙂 I’m sure your kids will grow up to be healthy and happy and thats what we want as parents.Its been a pleasure cooking Sunday Suppers with you! Yes, definitely very satisfying, and my son loves anything that I let him pick up with his hands and eat. I *love* broccoli and cheese. This looks nummy! Broccoli & cheese are just so perfect together! These sound like a perfect grab and go breakfast! I love hearing all the stories about your family. It makes me so excited for when we will have little ones in our kitchen! I am sure you’ll get them i the kitchen as soon as they ca sit in a high chair! Like you, I’ve also found inspiration in the #SundaySupper Movement and am happy to be a part of it. Keep being a great mommy to your kids, like feeding them those muffins! It is a wonderful group! Oh yum! What you have there are little frittatas! 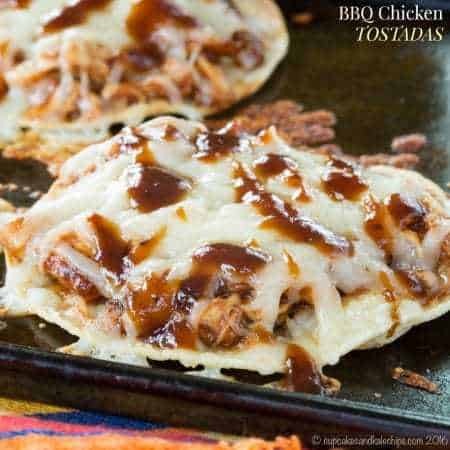 I’ve already bookmarked this so I can try them next weekend! Yep, that’s how they turned out. Gotta love a portable frittata. I love reading your blog and your stories. Thanks so much for sharing such a big part of you! These look wonderful! 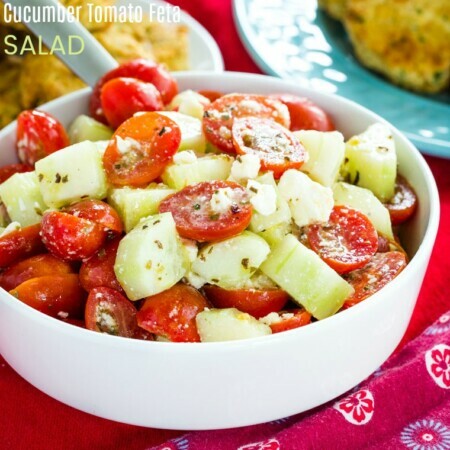 I love easy and quick breakfast dishes! Plus broccoli and potatoes are my 2 favorite veggies. You and my son would get along well! His faves, too! Love your cups! A breakfast treat or a lunchbox lunch! I loved reading your post today! SundaySupper is indeed such a special place. And I love, love, love the recipe you chose for this week. Pinning! Thanks so much! There are so many groups of bloggers out there, and there is something unique about this one. This post is making me al teary-eyed. Love it! And pinning this recipe – I’m always on the lookout for grab-and-go breakfasts! Awww, I mean every word of it! It looks like you have come up with a great twist on the recipe and it’s so handy to have a delicious muffin like this stored away for when you need it. Such a lovely post as well – your boys are blessed to have you! Yum that looks good. These would be perfect to pop in the freezer to have on hand. Yep, I love that it makes a lot to have leftovers to freeze. Love hearing about your kiddos at anytime!! 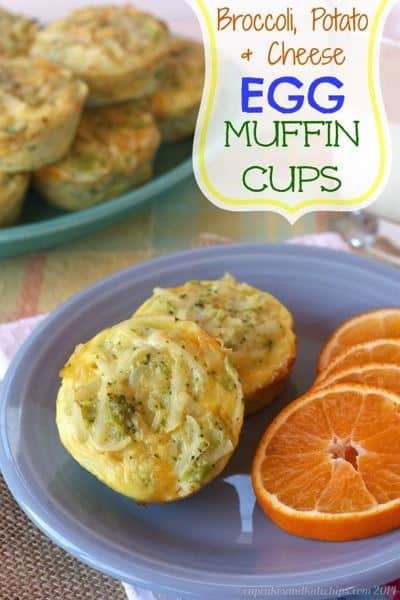 Your egg muffin cups look so delicious, a must try recipe!!! What a great post! Our children are everything to us and making them a part of our daily blogs/kitchen cooking is amazing! Boo just started getting in the kitchen with me again and it’s so fun! 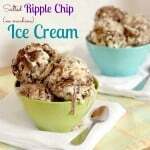 I have the ingredients to make these so maybe her and I can try them this week! Thanks for sharing!! I try when I can with The Bug. He has to do everything on his terms, so sometimes I just can’t push it. But sometimes he loves to help. It is very heartwarming to hear all your comments. 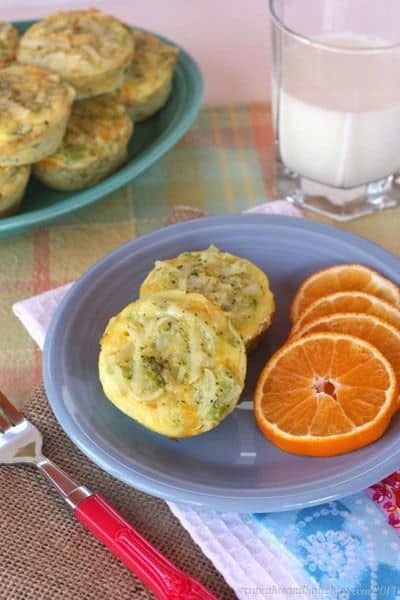 These little breakfast cups sound delicious! And I mean all of it. Thanks Cindy! This is such a wonderful and adverse group of people. But what brings us all together is food. And I love that we don’t try to be perfect. When recipes don’t go the way we want, that’s okay! I mean, look how you pulled together these great muffin cups! YUM! I know, there are so many great and unique perspectives… and cooking styles. Love it! love what Sunday Supper means to you. . I couldn’t agree more. . everyone is so encouraging, supportive and friendly and we’re all like family! Thanks Alice! It is such a great group! I love the addition of the potato in these. This looks like a perfect solution for breakfast for my husband. The potato does make it a more filling all-in-one meal. These muffins are perfection, even without that runny yolk you so wanted. I’ll be making these soon! The whole grab-and-go breakfast thing is so important to me because I always, always wake up later than I intend to, lol. And as much as I wanted the runny yolk, I think this way is a little more kid-friendly. You know how much I enjoy following the bug and baby smiles. They are the highlight of many of our events. You are an amazing mom and I know that those boys will lead a very happy life…. in the end that is truly what we want for our children. Thank you for all the inspiration and fabulous recipes over the last 18 months. I have loved watching your blog evolve and grow. You are extremely talented! I love a good pick up and go breakfast. This one looks fantastic! Gotta eat on the go sometimes! These muffins cups look adorable and delicious. So glad to have met you, Brianne, through Sunday Supper and facebook. Thanks Marie! It is so nice to connect to people “virtually” who share similar interests. I am with you – I love getting inspired by the other dishes made by Sunday Supper contributors! There are always so many diverse options to think about. Loving these muffin cups, and it is great you can bring them along as leftovers for lunch time too! I know, so many great ideas form this group. And I have sent these along as lunch for my little guy at school! You are so sweet, Brianne. I can tell that you are the best mommy and your adorable boys will grow up knowing that! 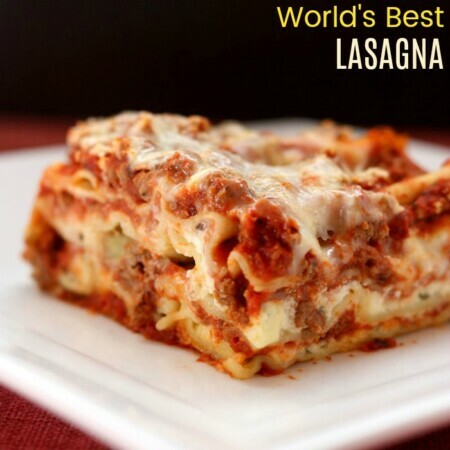 This is a wonderful recipe, even if it didn’t turn out exactly as you planned. 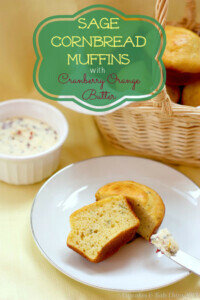 Your muffin cups sound like the perfect breakfast, any time of the day! Thanks Stacy. All I can do is try my best! Such a nice recipe and a heartfelt post. I also very much enjoy your comments and the conversations we have in our group and all over social media. It really makes my day when I check on things and see such great camaraderie between all. Thanks Renee. This year has been kind of solitary between the end of a tough pregnancy and having a newborn, so having so many people I can connect with from home has been a help. PS…your muffin cups look terrific! Thanks Liz! I have enjoyed sharing about our family and getting to know everyone else’s a bit too.